My hubby is the breakfast cook, partly because he is a morning person and I am ... well... I am not. Occasionally, we will have breakfast food at dinnertime, which is a real treat! 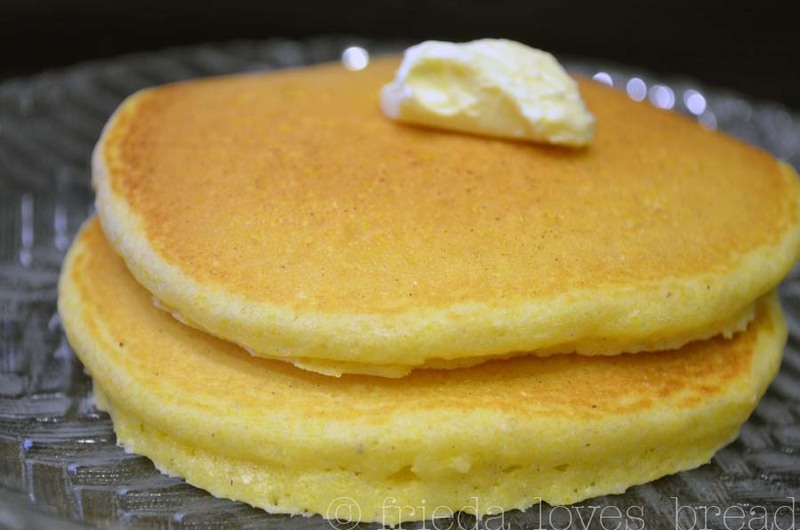 This recipe began with one of those little Jiffy mixes, but once we began to grind our own popcorn for cornmeal, we discovered that the taste of these fluffy, slightly sweet and slightly gritty pancakes were SO much better than the box! Pretty much anything made fresh and from scratch is better than the box, don't you think? Making pancakes are simple to make and are a true comfort food for anytime, even at dinner time. The ingredients are simple: all purpose flour, cornmeal, sugar, baking powder and salt are thrown into a bowl and mixed. Pout the egg mixture over the flour mixture and stir just till combined. Don't over mix and let this sit for 5-10 minutes while you get your griddle ready. 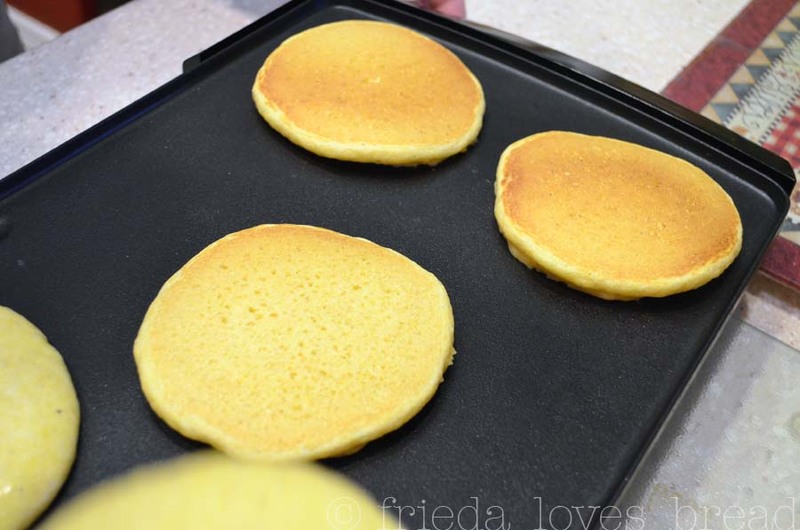 We use a Presto electric griddle and love it ~ you can cook six large pancakes at a time and I love the drip tray that catches any grease from cooking bacon. 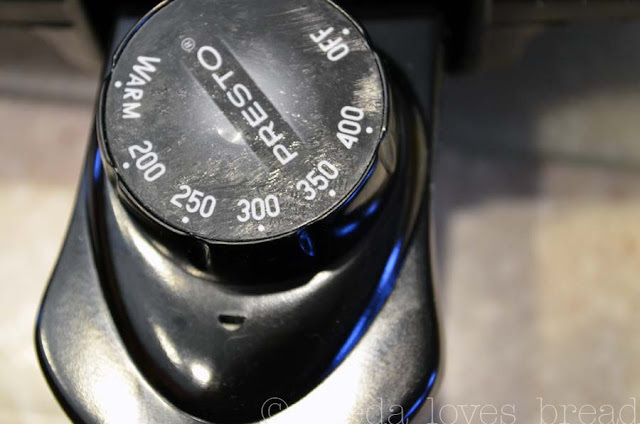 We set our griddle to 275°F, which would be between medium-medium high on your stove top. Gently flip over the pancake and cook the other side. 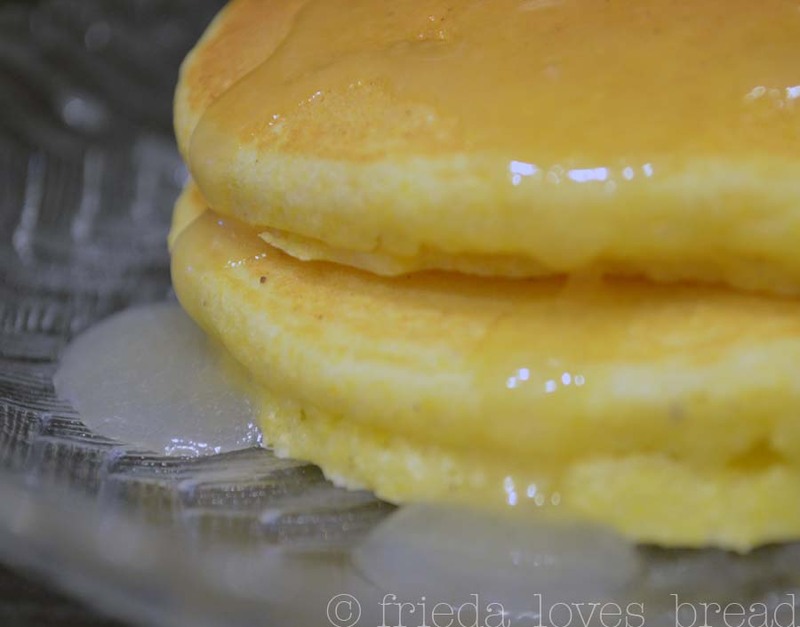 Periodically touch the pancake in the center ... if an indent stays, it needs more time to cook. If it springs back up, it is done cooking ~ pretty much like testing a cake to see if it is done. A short stack, ready for the syrup of your choice. For me, it's buttermilk syrup. For hubby and kids, it's maple syrup. What do YOU like on your pancakes? In a medium bowl, combine flour, corn meal, sugar, baking powder and salt. Stir well. 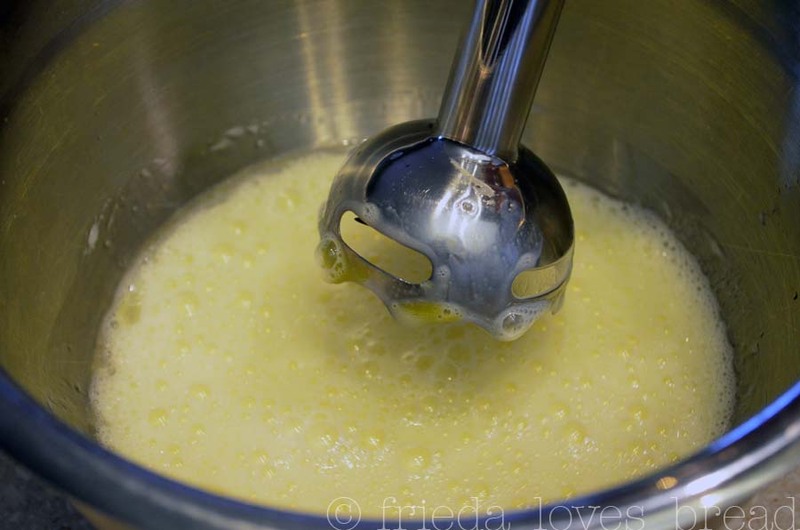 In a separate bowl, mix together milk, eggs, and oil. Mix well. 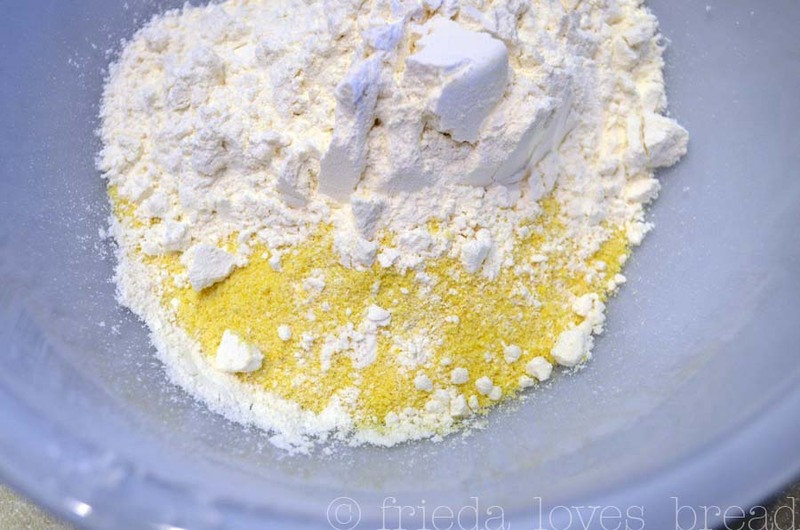 Pour egg mixture over flour mixture and stir till ingredients are combined. Do not over mix. Allow mixture to sit for 5-10 minutes. Preheat griddle to 275°F or put non stick skillet over medium-high heat on stove top. Lightly grease griddle or pan with butter. 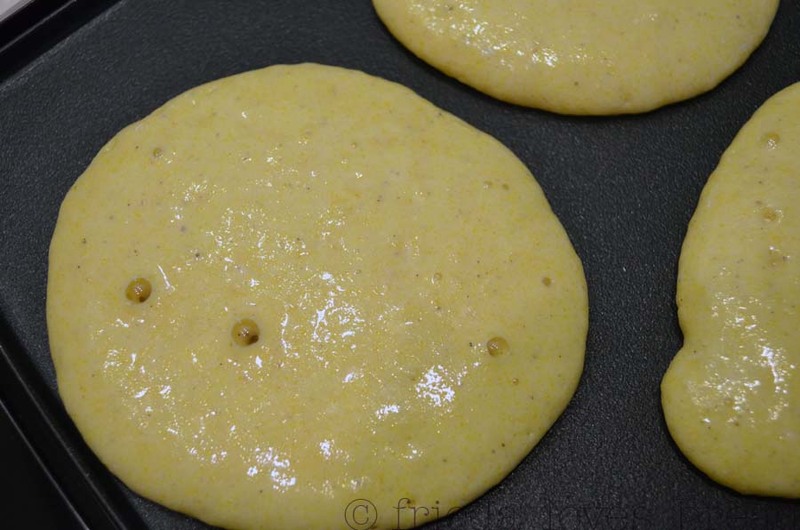 Pour 1/4 cup mixture for each pancake on heated griddle and cook till bubbles appear on pancake. Check bottom of pancake for golden color before gently flipping pancake over. Cook till center of pancake springs back when touched. Serve warm with butter, fruit, or desired syrup. Never thought of corn muffin pancakes, though. A delightful idea. Maybe add some corn, too? Corn, bacon bits, what a great idea, Rosemary! looks great! I've always loved pancakes made with cornmeal so I know this must be delicious! Oh, my gosh those are beautiful. I adore cornmeal pancakes/waffles and use a recipe very similar to yours. If you ever want to try making these with masa harina instead of AP flour, let us know what you think. That's my favorite way to make mine, with a big, corny flavor I just can't get over. I'll have to try them with buttermilk syrup instead of honey. Also, I love my stick blender, too. One of my very favorite kitchen tools. What a fabulous idea for pancakes! These sounds amazing. Pancakes are a trigger food for me but I am so anxious to try these. wow these look fantastic! going to have to try these!